Frozen includes five characters that are incredibly popular with kids today – adventurous and fearless Anna, her older but mysterious sister Elsa, adventurous mountain man Kristoff, his ever loyal reindeer Sven and the goofy Olaf. 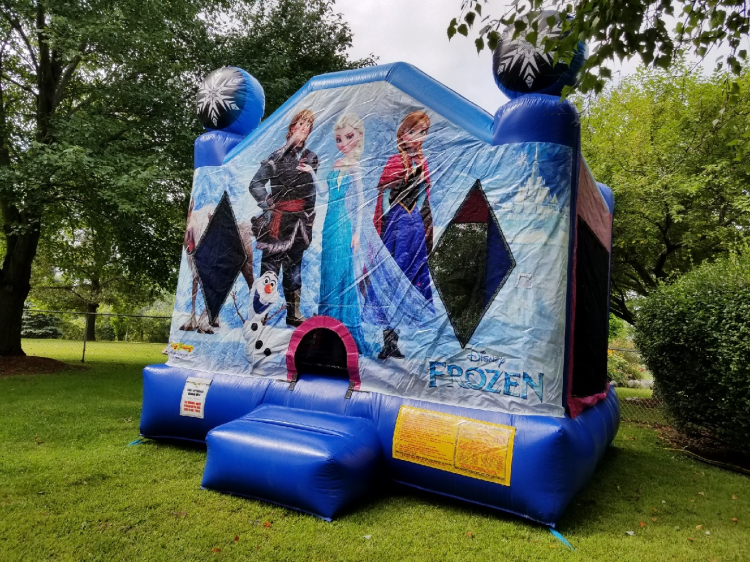 Frozen inflatable is a 3D bouncy house that offers endless hours of activity. This units is one of the most popular units in Madison (WI).